You can do it too. It’s super-easy to set up, and it can add significant money to your yearly income if you put some time and effort into it. The most popular form of passive income is to recommend products online and earn a commission from it. This is commonly called affiliate marketing, although some programs such as Amazon’s Associate Program do not consider themselves affiliate marketing programs. Almost all online businesses that sell something offer a commission program, and the more lucrative ones have commissions that are 50% of the total price or higher. You simply sign up for their program (which typically requires you have a business and/or website) and they give you a personalized link that you use to link to their product that tracks the sale back to you. You’ll then receive the commission from the sale when someone uses your link to buy that product. One of the most popular programs is the Amazon Associate Program. This is what I used in the article that suggested what DSLR to buy. Because people used my links and then bought the items on Amazon (that’s an affiliate link), I received a commission as if I were an online salesman for them. It was directly deposited into my bank account after a few months and could not have been easier. The FTC requires you to disclose to people that you benefit from the links you are providing or you will be breaking the law, so don’t try to hide the fact that you’re making a commission from it. This is part of why it is SO important that you only promote products you love and you really believe in. If it’s a digital product, such as an ebook or a set of Photoshop actions, buy it first and check it out. If you sell something you haven’t seen and it really stinks, it will reflect poorly upon you and you don’t want that, believe me. Not worth a few extra bucks. On a side note, this is how I make enough money to justify spending the time each week to share my business secrets with all of you. I make commissions from almost all of the products I sell and suggest here. Some photographers would be horrified that I’m profiting from the purchases made by other photographers, but I never suggest a product I haven’t seen, read, or have complete faith in. It’s also important to note that some affiliate programs and commission programs do not pay you until you’ve reached a certain amount of sales. For example, Amazon is lovely as you only need to earn a very small amount to be paid your commission. 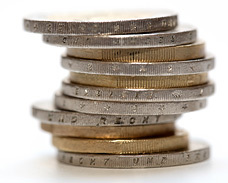 Some sites require a larger amount, such as $100 earned, before you get your commission. If you never make it to that point, you never get paid. Read the fine print to find out if it is worth pursuing or not. You generally are not allowed to use your own affiliate or commission links when making purchases. So if you shop on Amazon a lot, you can have your account suspended or closed if you do it using your own program links. I’ve yet to have seen a program that doesn’t have this same requirement, so read their terms of service before signing up. Since you can’t earn a commission on your own purchases, I’d appreciate it if you’d use my link when you shop on Amazon. (I’m shameless, aren’t I?) Bookmark http://moderntog.com/tl/84 and use it to make your purchases (THANK YOU!) In Firefox, just right-click on the link for PC users or control+click for Mac users and select “Bookmark this Link” and you’re set to go. Here’s a list of some of the programs I highly recommend. If you choose to promote their product and it’s a digital product, make sure you buy a copy of it first before promoting it (preferably using my affiliate links below). Most of these have commissions high enough that you only need to sell 2-5 of them to earn your money back from buying it so if it’s something with wide appeal, this is a worthwhile investment. Blog about what camera you’d suggest they buy, just like I did. This is especially powerful right around Christmas time! Get creative. There’s a ton of things you could link to that could earn you extra money. The only downside is that the commission is quite small, but you make it on anything a person buys, not just the item you link to. So you often get multi-item purchases by people as they’re thinking about what else they need to buy while they’re there. To learn more & sign up, visit them here. The reason I really love promoting these is because they are geared towards amateurs but are incredibly packed full of information (even I’ve picked up a few tips from them) and they are relatively inexpensive. To make things even better, the affiliate commission is quite nice and can be earned back quickly. These are great to suggest to clients who are interested in learning more about how to take beautiful photographs. Click! How to Take Gorgeous Photos of Your Kids – This is the one I’ve read and I was really surprised and what a great resource it was. 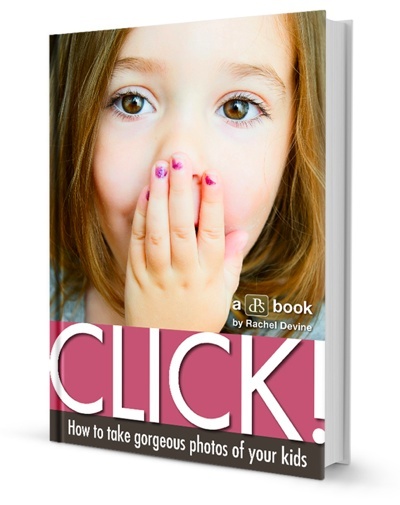 Blog about what a great e-book this is for parents or grandparents who want to take better photos of their kids or link to it on Facebook. Transcending Travel – This will be the next book I pick up and promote to my clients (assuming it’s as good as the other one I read) as it talks about how to take better travel photos. It’d be a great gift suggestion for your wedding couples who are about to go on a honeymoon. There’s several other e-books that might be of interest to your clients as well. Take a look. You can find their affiliate program here. If you’ve been in business more than 2 days, you’ve probably had people asking you for advice about how to start a photography business. In fact, this is how this blog was born. I kept answering the same questions again and again from other upcoming photographers, even when I was so new I hardly knew anything. These next few affiliate programs are ones that are good for sharing when you’re asked for advice but are probably not something you’d plan to share with your clients. One of the main questions I am asked is “How do I set the prices for my photography?! 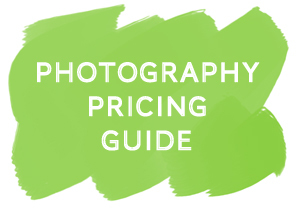 ?” So I put together a free pricing guide for photographers and then created a Photographer’s Pricing Guide Workbook that can be purchased as an add-on to save time. I offer an affiliate program that pays out 50% commissions, so if you buy it and like it you only need to explain to 2 colleagues about how helpful it is and get them to buy the guide and yours is free. There’s no minimum sales threshold – you’re paid no matter if you sell only 1 workbook or 100 of them. Here’s a link to our affiliate program information. Lawrence over at Tofurious is a marketing genius, and his products are ridiculously helpful. 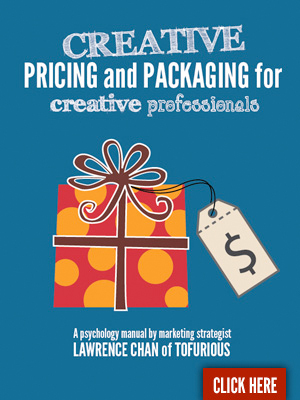 My favorite product is the Creative Pricing & Packaging for Photographers e-book. It talks about the psychology of choice how to construct photography packages so that your clients choose the one you want them to choose most of the time. Wish I had written it myself, but since I didn’t I’ll just promote the snot out of it for him to any photographer who will listen. 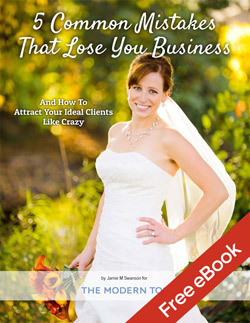 It’s definitely increased my average wedding booking by a few hundred dollars over last year before I read the e-book. He’s also got some blog templates, album templates, and a mix of other photography related items, but it’s the e-book that I truly adore. There’s also no minimum sales amount in order to receive a payment, so that’s pretty sweet. Find more information about the Tofurious affilate program here. 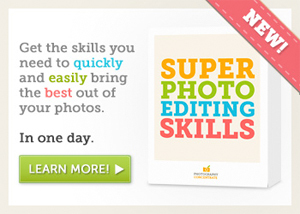 I’m in love with the super-helpful tutorial products that Photography Concentrate has put out just this year. I’ve actually got a copy of their Super Photo Editing Skills and their Awesome Album Design Skills that they sent me to review and promote and I LOVE them. I haven’t gotten through all of the album design one yet, but they have a knack for making things simple using clear video tutorials coupled with fabulous (and pretty!) e-books to go with them. You’ll see these promoted here in the next few months, and I would highly suggest checking them out and then pointing people who are looking for tips on how to edit or design albums to head on over. They do have a medium-level payout threshold and a lower percentage commission than all the other photography affiliate programs I mention here in the “For Photographers” section, even if you sell extras to move up the commissions chart, but it’s a good product that I’d promote even if it didn’t have an affiliate program so I’m okay with it. View their affiliate program information by clicking “affiliate program” in the bottom center of this page. 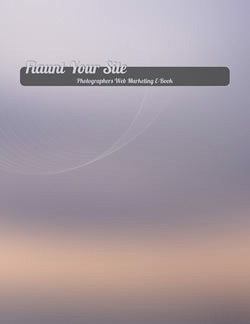 William Bay at Flaunt Your Site just released an e-book called “Photographer’s Web Marketing E-Book” that clearly lays out how to gain a web presence and really market your business online. From how to get a website set up to social media guides and suggestion, this is a great framework for marketing your business on the internet. This is especially useful for people who are just starting out and want to make sure they’re doing things correctly right from the start. There’s no minimum threshold to meet to receive payment. View the affiliate details here (at the bottom of the page). Both of these companies have affiliate programs, but the threshold for getting paid out is relatively high (especially Adorama’s program) and the commission fees paid are so low that I’m not sure they would be worth your time, but I put them here in case you want to add them to your list as well. You can find information about their respective programs by visiting their sites. If you buy from Adorama or B&H often, using the links here is always appreciated. So really, how much can a person make doing this? Like most things, it will depend upon how much time and effort you put into it. If you plan to promote many products or do a lot of affiliate marketing, you’ll want to consider how this will change your brand and what effects it may have on it. Just remember, don’t spam people. Don’t get pushy. Don’t promote products you don’t believe in or haven’t really experienced. Tell people that you’re getting something out of the deal. Since starting commissions and affiliate marketing last year (just under a year ago) I’ve made over $4500 all from comissions or sales of my own pricing guide. While it isn’t huge money, it has more than covered my expenses for this website and gives me great satisfaction to know that I can be helping other people to grow their businesses without feeling like I’m stealing away time and income from our main wedding photography business. There are some people, like Darren Rowse (who owns and runs Digital Photography School and Problogger) who make bajillions of dollars. (Yes, that’s an exact figure, approximately speaking). But realistically, most people won’t even come close to that. But it’s not unrealistic to make a few extra bucks each month that can add up to a significant amount of money, especially if you have a lot of friends who shop on Amazon or have a lot of people asking you what questions about the business side of things. This is incredibly fascinating! Where can I learn more?!? I’d highly suggest reading Copyblogger and Problogger (Problogger is run by Darren Rowse as well). They will get you on the right path to learning more about commissions and affiliate marketing and how to do it ethically and well. Also, if you’re interested in learning how to sell a digital product and create your own affiliate program (or why you would want to) leave a comment below or on our Facebook Page. If there’s enough interest, I’ll put together a post about it as well. Like this post? Share it on Facebook or Pin it on Pinterest using the buttons below! It’s highly appreciated!